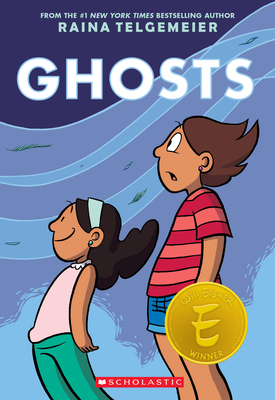 This is the first book that I have read by Raina Relgemeier and I really enjoyed it. It's the story of Catrina and her younger sister Maya, who has cystic fibrosis, and their family's movie to Northern California to help with Maya's health. The town of Bahia de la Luna is alive with more than just it's current residents, it is also filled with ghosts! I love that the author brings in Dia De Los Muertos and explained the celebration. I also enjoyed the book because I could relate to Maya, as a child I spent a lot of time in hospitals with lung problems. I feel Raina's story is beautiful and recommend it to all age groups!